Beach Logs Can Kill. Stay Away From Them! Beach logs can weigh several thousands of pounds. They seem like good places to sit on when your feet get tired. But the reality is that they can be very deadly. Especially when the tide starts to come in. Take this as a warning, and stay away from them when you or your family go to the beach. Many beaches have warning signs telling beach goers to stay away from beach logs, but these signs are often taken as jokes. After all, beach logs aren’t sharks. They can’t smell your blood and hunt you down for the kill. How could they be dangerous? This is a true incident that happened. There was a hosted family gathering along the beach and four children were standing on a beach log during the event. The beach log measured about 5 meters long, was 38 cm in diameter, and weighed 590 kg. Before the incident, the log was firmly settled in the sand, and it was stable with no signs of moving. As an incoming tide came in and reached the log, it suddenly started floating and was pulled by the receding tide in the direction of the sea. Three of the children managed to jump off the back of the log and safely onto the beach. However, unfortunately, one of the children happened to fall or jump in front of the floating log as it was being swept away towards the sea. The log collided with the child, and rolled over her. This caused multiple traumas, including serious head injuries due to the impact of the heavy moving log. 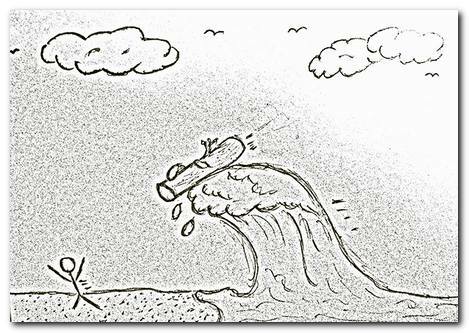 Stay away from beach logs that are in the surf or in wet sand. The sea is strong enough to pick up even the heaviest log and to bring it crashing right into you. Don’t sit or stand on beach logs. The next wave could very well roll it over you. Even the smallest beach logs may weigh tons, so don’t underestimate their power. Beach logs aren’t sharks, but they can kill all the same. Be careful of other floating, and possibly heavy, objects that might be carried by the force of the sea.